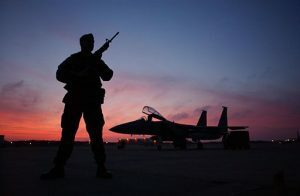 High ranking military and government officials were scheduled to gather today to see the latest plans for a military microgrid at the Otis Air National Base on Cape Cod, Massachusetts. The leadership summit, held at the military base in Bourne, is a step in making the project a showcase and testbed where the Department of Defense and others can learn about microgrids, their economics and contribution to energy resilience and security. The Otis microgrid will run largely on renewable energy. including solar and wind. It is being designed to ensure a high-level of grid security, according to a military news release. Proposed by Raytheon, the Otis microgrid won a $6 million grant from the Defense Department’s Environmental Security Technology Certification Program. The leadership summit was being hosted by the 102nd Intelligence Wing and was expected to drew several high-tech energy companies, along with Ballentine, Gen. L. Scott Rice, director of the Air National Guard; and state Rep. David Vieira of the 3rd Barnstable District. 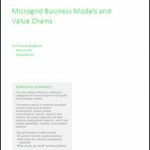 The Otis microgrid is slated to start construction in 2017. Meanwhile on the opposite coast, in California, progress continues on a microgrid for the Marine Corps Air Station Miramar. The base expects to complete the multi-phased project in 2019. “With the installation of the microgrid, we have the potential to reduce or limit our dependency on the San Diego power grid,” said Col. Jason Woodworth, commanding officer of MCAS Miramar. The Miramar microgrid, designed to use solar and landfill energy, will be able to keeping the flight line operational to support mission requirements should the base lose power. Mick Wasco, installation energy manager, says that the MCAS Miramar has the potential to have one of the most renewable and diverse microgrids in the Marine Corps, which ultimately will make MCAS Miramar better neighbors to the San Diego community. The Miramar microgrid is in the design phase. 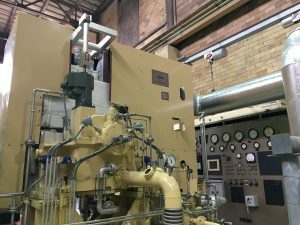 Back pressure steam turbine in Kendall Cogeneration Station—a key component of ensuring the plant does not dump hot water into the Charles, which for years caused serious thermal pollution. The Kendall Cogeneration Station has completed its Boston/Cambridge Green Steam project, a renovation designed to eliminate thermal pollution to the Charles River in Massachusetts. The plant produces electricity and recycles thermal energy used to supply Veolia’s 20-mile steam distribution system in the Boston area. Veolia, the plant operator, says that through its efficient CHP operations at Kendall Station, combined with a 7,000-foot steam pipeline extension completed in 2013, the company has doubled its transport of thermal energy, or Green Steam, to Cambridge and Boston metro customers via recovered heat. By replacing the plant’s original once-through cooling system design with an air cooled condenser, Kendall Station now leverages ambient air for use in its thermal cycle, instead of Charles River water. This eliminates heated water discharge to the river, protecting the aquatic habitat. 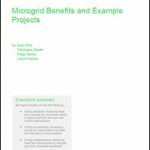 Track news about military microgrids — all microgrids for that matter — by following us on Twitter @MicrogridNews.